Folder Lock is a New Software’s Professionals developed application that will come in handy when you need to encrypt and password protect your files. Unlike previous versions, such as Folder Lock 5.9.5, this does not suffer from the weak password encryption security vulnerability, guaranteeing your files will remain protected and safe from prying eyes. “Folder Lock™ is a fast data encryption and password protection software for Windows. 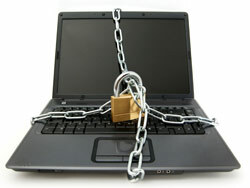 It can simultaneously encrypt, lock and password protect your files, folders, drives, USB drives and even CD/DVD-RW. Folder Lock creates encrypted storages called 'Lockers'. You can keep as many of your private files & folders in your Locker and password protect it with a single click. You can transfer, secure and backup these Lockers. Lockers are portable, you can keep them in USB Flash Drives, CD/DVD (R-RW), & notebooks or transfer them via email or upload. Lockers are even undeletable on the computer where Folder Lock is installed,” explains New Software’s Professionals. - Works with any Windows-based operating system, but it is limited to 35 users. - Language support for English, German, Dutch, Spanish, French, and Italian. - Employs military grade, 256-bit AES encryption. You have the option to choose: either just encrypt a file, just password protect it, or both. - Ease of use: lockers are portable and transferable (via email for example). - With Stealth Mode you can make sure that no one realizes Folder Lock 6.1.2 is installed on the machine. - Memory decryption, meaning that it will not take forever to decrypt a file or folder. If you would also like to password protect Windows applications, then check out Empathy software. If you would like to get Folder Lock 6.1.2, a download location is available here.